Statistics show that unsafe acts are the most common cause of workplace accidents. Despite the introduction of training programs and safe work practices and procedures, controlling unsafe acts has proven to be difficult. The reason for this is that unsafe acts involve the Human Factor, that is, they occur as a result of people’s attitudes and behaviours. 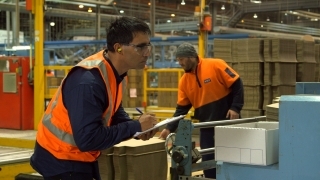 Behavioural Safety offers a way to reduce the incidence of unsafe acts by modifying people’s behaviours and improving their attitudes towards safety. This program is designed to provide an understanding of Behavioural Safety and to show how a Behavioural Safety program works. The program is designed to suit any work environment where a Behavioural Safety program is currently being used or where it is being considered. Reducing the occurrence of unsafe acts will reduce number of accidents and injuries that occur in the workplace. 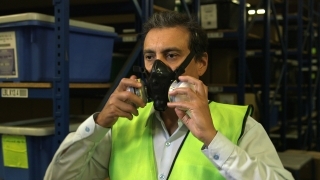 Every year, vast quantities of chemicals are sold and shipped, for use in workplaces around the world. And, with a global level of trade comes a need to ensure that the hazards pertaining to chemical products are clearly communicated - regardless of where in the world those products are being put to use. 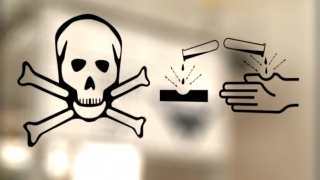 While national laws and regulations relating to chemicals may be similar, they are often different enough to require multiple sets of Labels, Safety Data Sheets, and other information when being traded internationally. 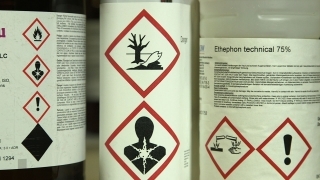 All this creates the potential for confusion - which, when dealing with hazardous chemicals - could have disastrous consequences in the workplace. This program provides an overview of these elements as your workplace makes the transition to the GHS. There are literally thousands of different substances used in the workplace. Cleaners, adhesives, paints, solvents, pesticides, inks, lubricants and fuels are just some examples. And of course, they come in different forms: powders, granules, solids, liquids and gases. The objective of this program is to highlight the major hazard areas associated with the use of hazardous substances and by so doing, increase awareness of the standards for worker responsibility in observing and being active in daily safety procedures. There is human involvement in virtually every accident and incident, however in many cases it is not the direct primary cause. The intention of this program is to examine the human factors involved in accidents, incidents and mistakes in the workplace. Not all accidents are preventable, but careful forethought and planning, combined with strict adherence to safe work practices will minimise the frequency and severity of accidents and incidents. A Job Safety Analysis is a safety tool. It helps people to logically examine a particular job or task so that all the hazards associated with that particular job can be identified and assessed and when necessary, suitable control measures can be determined. 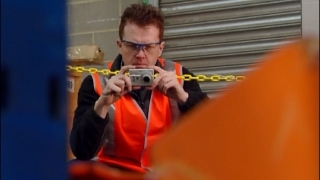 The aim of a Job Safety Analysis (JSA) is to document how a particular job should be done safely. The program also contains a practical example of how a JSA is conducted. As a basis for preparing a written Safe Work Procedure. The JSA is one of many tools that can be used in the workplace to improve overall safety. Not all workplace hazards can be fully controlled or eliminated. The control of hazards is a fundamental principle behind any occupational health and safety program. However, before hazards can be controlled, they must be identified or recognised, and then evaluated to determine the level of risk that they present. This process is known as the Recognition, Evaluation and Control of Hazards. Hazards are present in all workplaces, and can lead to injuries, short and long-term illnesses and diseases, and sometimes even death. Lost productivity, increased costs and, most importantly, human suffering, are three good reasons why it is vitally important to control hazards in the workplace. Through improving the participants’ awareness of exactly what Recognition, Evaluation and Control of Hazards means to the individual and the organisation, and how it can improve workplace safety, the Recognition, Evaluation and Control of Hazards process can be conducted to best effect. In simple terms a risk assessment requires the identification of workplace hazards and an evaluation of the risks they present. The purpose of an overall workplace risk assessment is to establish whether the level of risk arising from workplace activities is acceptable, or whether additional measures need to be taken to control workplace hazards to further reduce or remove unacceptable risks. Decide what are the possible consequences related to these hazards and who may be harmed. Evaluate the risks and decide whether the existing precautions are adequate or more needs to be done. Review and if necessary revise the assessment from time to time. Regardless of the hazards present, the proper application of the risk assessment process will result in a safer workplace. Simply, manual handling is the movement of items by human energy. Manual handling includes lifting, holding, pushing, pulling, shifting and lowering. In fact, any form of human exertion could be included – with or without the use of mechanical aids. Must the load be moved? Can it be moved mechanically? Can the load be reduced? Is the load too heavy to safely lift? Manual handling contributes directly to a significant percentage of work related accidents and injuries. Manual handling is an issue that must be addressed as an ongoing subject in the workplace. We are all familiar with different committees but how do committees function and what elements combine to make an effective committee. A committee is a group of people, usually people with a vested interest, brought together to manage, address or oversee a particular organisation, part of an organisation or a particular problem or issue. Its role must be clearly defined. The goals and objectives must be understood by all committee members. And it must be able to meet in a timely manner to address problems and issues that arise. The word committee is derived from the word commit, and commitment to achieve its goals and objectives is the basis of any successful committee. The objective of this program is to highlight the importance of Workplace Safety Committees and by so doing, increase awareness of the standards for worker responsibility in observing and being active in daily safety procedures. 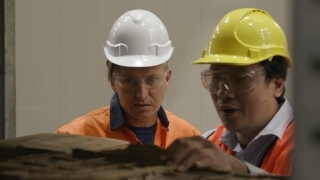 This program has been produced to explain the “Safety Essentials” of workplace safety. It identifies what the essentials are, why it is important to keep them in mind, the reasons behind them, and how a good understanding of these “Safety Essentials” can help in preventing serious workplace accidents. The program commences by addressing the importance of workplace safety and the possible consequences of workplace accidents, including the direct and hidden costs to individuals and organisations. The program is broken down into four main sections, each section covers one of the four “safety essentials”. This section addresses the fundamental question of exactly how you can be harmed in the workplace. There are some fundamental expectations that every organisation has of its employees in matters related to safety. This section details the ten rules and principles that everyone should know. Addresses what should happen in different emergency situations. Understanding the “Safety Essentials” and applying them in your workplace is a fundamental part of any successful workplace safety program. There are laws and regulations that require the investigation and reporting of certain types of accidents. Insurance requirements also lead to many Accident Investigations as do potential claims at common law. However, from an Occupational Health & Safety point of view, the main aim of Accident Investigations is not to fulfil these legal and insurance obligations, but rather to prevent recurrences of the same or similar accidents. Accident Investigations therefore should be regarded as an important part of accident prevention. Who should be involved in an investigation? Learning why and how accidents occur is fundamental to making improvements in both working conditions and operational methods. The Accident Investigation process will reduce the number of workplace accidents and should be regarded as an important component of any workplace health and safety strategy. 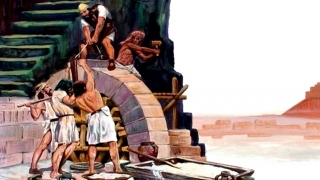 Current Occupational Health and Safety rules and regulations may seem to some like a new trend, but workplace safety laws have been in existence for thousands of years. This program examines the Code of Hammurabi, the world’s oldest known safety law. It identifies that safe work practices and procedures have been used for thousands of years to prevent workplace accidents and injuries. The program is ideal to use when introducing a new safety policy or procedure or as an ‘icebreaker’ for any safety meeting. It would not be unfair to say that the identification, evaluation and control of hazards is the cornerstone of current workplace health and safety philosophy. The principle is simple, if we either eliminate the hazards or control them so they pose no serious risks to our health and safety, then we have a safe workplace. The level of commitment from all personnel within the organisation to accept the rules, regulations and safe work practices and procedures that have been established. Because the process of hazard identification and evaluation, often referred to as risk assessment, is so important, it is vital that everyone fully understands the meaning of the words, ‘hazard’ and ‘risk’, and, importantly the difference between. Hazards are always present so it is important that hazards are either completely removed or controlled so that the risks they present are deemed to be at an acceptable level. In the past, safety was often regarded as just an adjunct to production. 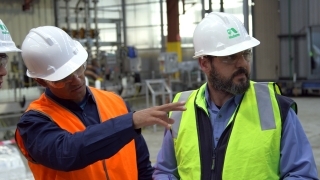 Today, it is well recognised that managing safety issues efficiently and effectively will contribute to an organisation's financial viability and it will demonstrate a commitment to the most valuable asset of any organisation; its people. Safety awareness is the starting point to accident prevention. It's a responsibility, a commitment, an obligation. It's common sense, teamwork and safe work procedures. It's recognising hazards and showing a willingness to act to control any hazard present. The program has been designed for all personnel. 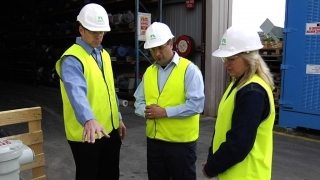 It can be used as a general safety training program and can also be utilised as an induction program for new personnel to introduce safety concepts. Arguably the most common cause of unsafe acts can be categorised as indifference. In these situations safe methods are known but individuals simply choose to ignore them. This program examines the reasons for the occurrence of unsafe acts and methods that can be used to reduce their frequency. Creating and maintaining a workplace culture that will encourage people to continually follow safe work practices and procedures will result in fewer accidents and injuries and will produce a measurable decrease in risk exposure.